Run by a community midwife on a Thursday afternoon from 1.30pm to monitor your health throughout your pregnancy. Antenatal care can also be offered outside of this clinic if the times do not suit via the midwife. GPs are also able to carry out antenatal checks. Appointments can be made through reception. 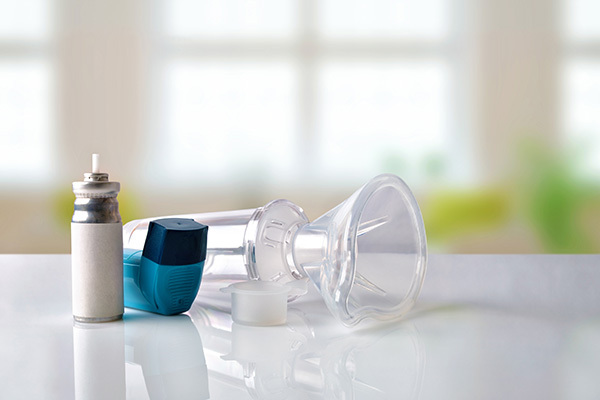 Run by a specialst respiratory nurse who is trained in the diagnosis and management of respiratory disease. Annual check ups are advised for all patients with asthma and COPD for monitoring, advice, inhaler use and any other query can be discussed. Appointments can be made through reception. Run by the community health visitor. This is a once weekly drop in clinic at the Methodist Church Hall. Run by a practice nurse. All women aged between 25 and 50 are invited to have a smear every 3 years and all women aged between 50 and 64 to have a smear every 5 years. There are many early stages of cervical cancer and if picked up early they are curable with simple treatment. You will be informed by letter from the local health authority when your next test is due and they will write to you with your result. This includes coronary heart disesae; chronic kidney disease; impaired glucose; rheumatoid arthritis and peripheral arterial disease. Run by a practice nurse who is experienced in chronic diseases. The clinic aims to assess risk factors in relation to your chronic disease and to offer diet and cholesterol advice together with support and education regarding risk factors and methods of reducing those risks. Appointments can be made through reception. Run by the diabetic nurse who is experienced and specially trained. The aim of this clinic is to achieve good control of diabetes and prevent complications by providing regular checkups and education. Appointments can be made through reception. Advice is available from either a doctor or a practice nurse on all aspects of family planning including oral contraception, coil fitting and emergency contraception. Run jointly by a doctor and a health care assistant. Minor surgery is available for removal of cysts and lumps etc. 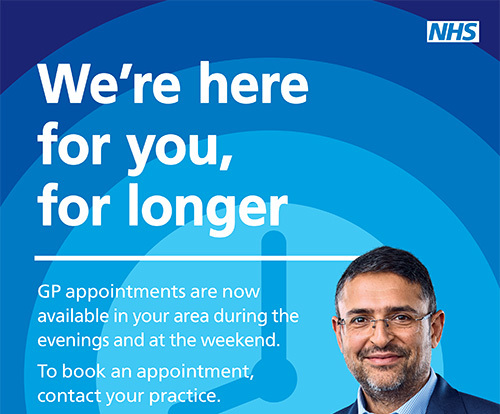 Appointments by referral from your GP. The appointment is for 20 minutes with a health care assistant. Run by a health care assistant who is fully trained to offer advice to patients who want to stop smoking and they are offered ongoing support in this. Appointments can be made through reception. Run by an experienced practice nurse who is able to offer full travel advice and immunisation. We are a yellow fever approved centre. A Flu Clinic is carried out in October/November each year. It is recommended that if you are over 65 or suffer from diabetes, asthma, bronchial problems or heart and kidney trouble you should be vaccinated annually. Any patients under 65s at risk will be invited by letter. If you do not receive a letter and are eligable to have the vaccination please phone to make an appointment. Fluenz is available to all children aged 2 and 3 years old. A letter will be sent. The childhood vaccinations are now given at 2, 3 and 4 months to protect small babies from whooping cough and Hib meningitis. The only reasons for not getting these injections are if your child has an acute illness with a temperature or has reacted very badly to a previous vaccination. Appointments can be made through reception. All adults aged 65 years and over are recommended to have a pneumonia vaccination. One injection protects for life. Appointments can be made through reception. Adults may book in for a general health screen. New patients will be offered an appointment soon after they register.